Langloh (Langloh Parker, Mary Parker’s nephew) had many family connections, and he was a popular figure well known in cattlemen’s circles. His zest for life and feats as a horseman contributed to his popularity. The whirl of social activity into which he introduced Katie is well described in A Colonial Reformer and other fiction of the period. His family connections tied him closely to the cattle-raising industry. 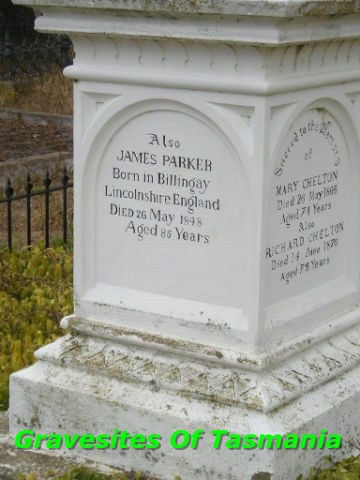 In 1820, before he was born, several members of the Parker family, including a daughter Mary and a son James, emigrated to Tasmania. Mary was married to Frederick Langloh, who took up land near Hamilton and named it Langloh Park. James and his son Jabez took up an adjoining property. Jabez Parker married Elizabeth Morris, and Langloh Parker was born to them in 1840; they named him after Frederick Langloh, who had died in 1827. While young Langloh was growing up on the island, Elizabeth’s brother Augustus Morris was establishing himself on the mainland. In his early twenties he bought property at the northern end of Lake Colac, but sold it to Benjamin Boyd in 1842 and stayed on as manager. He explored much of the Riverina and proved the value of saltbush as sheep fodder. In the 1840s he managed Yangar and Paika and other stations for W.C.D Wentworth, took up Callandoon Station in Queensland and ran it solely with Aboriginal stockmen, and bought Yangar and Paika from Wentworth. Mid 2016 considerable new information was discovered, some via planned research and other purely by chance during research on indirectly related items. Newly discovered was an 1824 map of VDL Land Grants, spotted by our colleague Jenny Gould at an auction of Tasmanian historical documents in Melbourne. A copy originating from this map is attached below – it was obtained from the Tasmaniana Museum in Hobart – the original on sale at the auction sold for $……. The copy is in high resolution pdf format – on opening, it may be substantially enlarged to show clear details of Grants as at 1824. On the left of the map are shown districts and names of Grantees and respective Lot numbers. A segment of this map is also attached below as a jpg image: to this image has been added locations for the Grants to Frederick Langloh, William Borrodaille Wilson, and William Hartley Wilson. The second image below shows the Langloh 2200 lot (actually more precisely measured at 2290 acres) on the Clyde River, close to today’s town of Hamilton. Readers will note at the bottom of this map is a reference to the fact that the original was carried back to Scotland by Captain James Dixon in the Skelton, on his return voyage. Interesting also is that Captain Dixon had also received his land grant at this time – it is in the region marked Aa, Lots 2 and 4 which adjoin, and on the Isis River. At that time we did not have the Catherine Parker document which identified Mary Parker as our Frederick’s wife. And we could not reconcile the fact of Frederick Langloh and his wife Mary (no surname then) sailing in the Skelton from Scotland, with the Frederick Langloh in London married to Susan Casbeard – it seemed a major disconnect. Following that revelation, compliments of our colleague Jenny Brown who researched the Ancestry repository June 2016, we now have the detail which confirms beyond question this is indeed ‘our’ Frederick. It was good to catch up today and I always enjoy a challenge I started with the easiest first. The first thing I found on Ancestry was a photocopy of the Register of Marriages in the Parish of St Andrews by the Wardrobe, City of London of Frederick Langloh bachelor and Susan Casbeard spinster on 27 August, 1803. The size of the grant and the allocation of convict labour indicates that Frederick arrived with considerable capital, capital being a key factor taken to account by the Colonial authorities in determining grant quantum and convict allocation. Most likely the relationship was one of a very close personal friendship which developed during the five months together on the high seas: certainly close enough that William and Margaret would name their second son Frederick Langloh Wilson (seen here). Further, the Langloh name continued to be used as middle name down a couple of generations both in the Frederick Langloh Wilson and the John Bowman Wilson arms. Whilst it seems unlikely, the question of a closer blood relationship between Wilsons and Langlohs or perhaps the Parkers is still open for the present with some intriguing circumstances. Why for example did Frederick and Mary come up to Scotland to board the Skelton to VDL when it called at Plymouth after leaving Leith and took on more passengers there. Plymouth is a relative stone’s throw from London where as we now know Frederick and Mary married just seven months prior to Skelton’s Leith departure. So when during that 7 months did Langloh and his bride Mary journey to Edinburgh/Leith, and if well prior to Skelton’s departure, why. And why would Frederick leave an apparently successful legal career in London which equipped him with considerable capital, in order to emigrate to the clearly ‘unknowns’ of life in the antipodes. Obviously further research is needed and may in time answer these questions.